The word chutney comes from the Hindi word “चाटना - chaatna,” which means to lick. 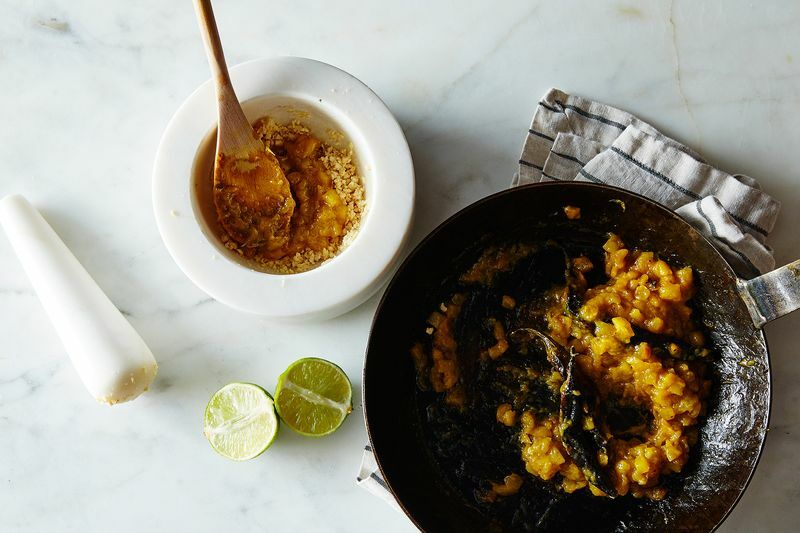 Chutneys are such flavor bombs that, in theory, even a lick is enough. Hot, tart, sweet, or a delightful mixture of all three, chutneys can yank your taste buds and your meal in a good direction, whether it be a coconut chutney with dosa or green chutney with samosas. 1. Pick your star ingredient, then gather supporting acts. Chutneys can be made from vegetables, herbs, nuts, and/or fruits. In the immortal words of my aunt, a consummate cook, once you get a hang of the concept and method, you can make chutney even out of grass (I’ll leave you with your thoughts for a minute)! First, pick your star ingredient. This could be tomatoes, zucchinis, opu squash (also spelled opo), mango, cabbage, cilantro, mint, or dill (here, we're using mango). You can include more than one hero ingredient as long as they cook for the same amount of time. 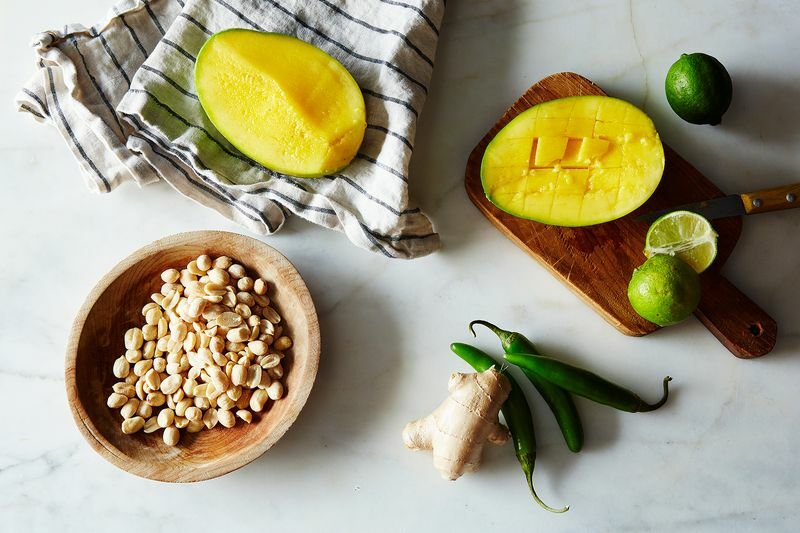 Combine with something that will bring heat (fresh green or dry red chile peppers), something tart (lime juice, lemon juice, tamarind paste), and a homogenizing agent like raw peanuts, roasted peanuts, or sesame powder. And some garlic and salt never hurt anything. 2. Decide if you’re cooking your chutney or not. Your star ingredient will dictate if you need to apply heat or not. With herbs like cilantro, mint, or basil, take advantage of their freshness and green color and go raw (Option A). Vegetables like tomatoes, zucchini, opu squash, and cabbage demand heat so that they can break down and facilitate grinding (Option B). Or, go for a straight nut chutney that simply requires roasting and grinding (Option C). Option A: If you’re not heating your ingredients, just gather them and pulse. 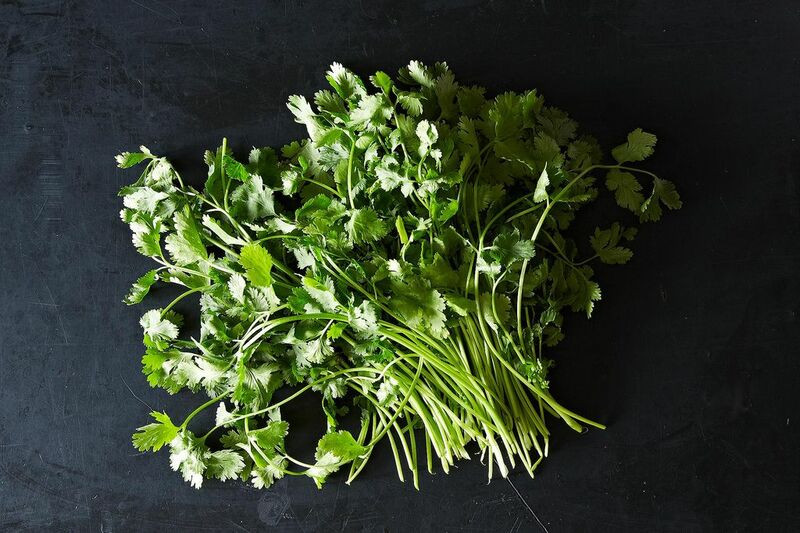 Untie a bunch of cilantro (or a mixture of cilantro or mint or the like), snip off the hard stem ends, and throw the leaves in a powerful blender with your chiles (here, thin-skinned ones will be best). Add palmful raw peanuts, juice of 1 medium lime, 1 garlic clove, and a few salt pinches into the blender. Pour some water, just enough to facilitate grinding. And make sure to grind to a smooth, creamy paste. Raw chutneys will last for a week in the refrigerator. Option B: Or, sauté and pulse. Tomatoes, zucchini, opu squash, mango and cabbage are ingredients that break down readily with heat and lend themselves well to chutneys. Use 1 to 2 chile peppers per tomato or about a cup of chopped zucchini or opu squash (no need to peel the squash) and 2 to 3 for a medium mango. Feel free to add a clove or two of garlic or a handful mint leaves. Pour one swirl of vegetable or canola oil in a sauté pan, throw in peppers first as they take longest to cook. Turn the heat to medium. 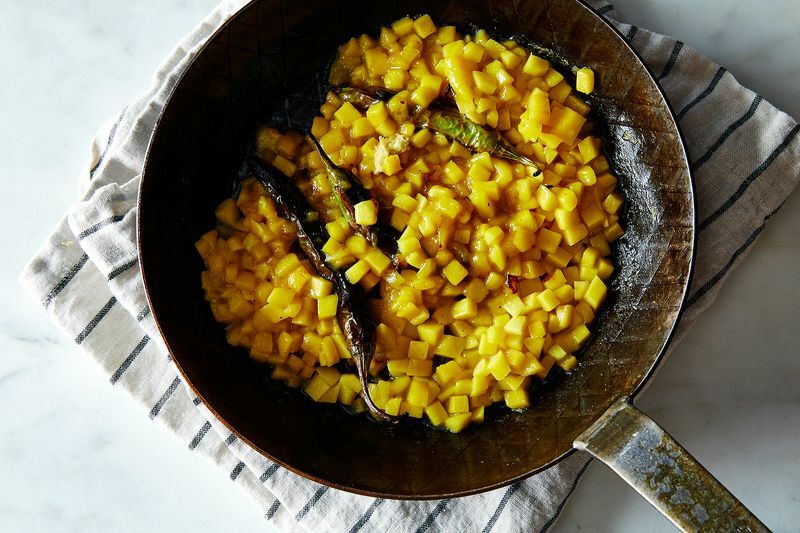 After about 5 minutes or so—when peppers start charring and changing color—add your vegetable of choice and your garlic. If you like turmeric or ground or grated ginger or another spice, add a pinch when the main ingredients are cooking. Vegetables will steam out and their water will evaporate in about ten minutes. Turn the heat off and let cool. Combine this mixture with 3 to 4 pinches of salt, the homogenizing agent, and lime juice in a blender and pulse for coarse chutney. For a chunky paste, the ideal method is to grind in a mortar and pestle. Option C: Roast and grind a nut chutney. 3. Enjoy your chutney, however it might have turned out. Herb chutneys: Yes, they have a life outside samosas. Add a spoonful to vinaigrette; marinate paneer pieces a thinned out chutney and grill. They’ll keep in an airtight container in the fridge for about 2 weeks. Or, make a Bombay sandwich, which you’ll find on the streets of Bombay: Take 2 slices of white bread (whole-wheat, gazillion-grain will not do here). Spread salted butter on both slices, followed by a thick layer of cilantro chutney. Pile thin slices of tomatoes, cucumbers, carrots, red onions, boiled and peeled potatoes, and roasted beets. Salt and pepper vegetables as you mount. Cover vegetables with the other slice of bread. Now cut vertically and horizontally in the middle to make four pieces. Enjoy this delicious monstrosity with ketchup. Cooked tomato, zucchini, and squash chutneys: Eat with savory crepe or dosa. Warm pita bread, spread with zucchini chutney, and layer slices of tomatoes, red onions, salt, and feta cheese. Cover with another pita and cut into four pieces. Serve as an appetizer. Let it replace salsa and eat with tortilla chips, or preserves on a bread platter. They’ll keep for a week in the fridge. Nutty chutneys: Dunk bread pieces in olive oil mixed with nutty chutney. Add a dash to a simple vinaigrette of olive oil and lemon. Use as a spread on a sandwich with avocado, cucumbers, and tomatoes. Nut chutneys can stay in the fridge for a month in the fridge. 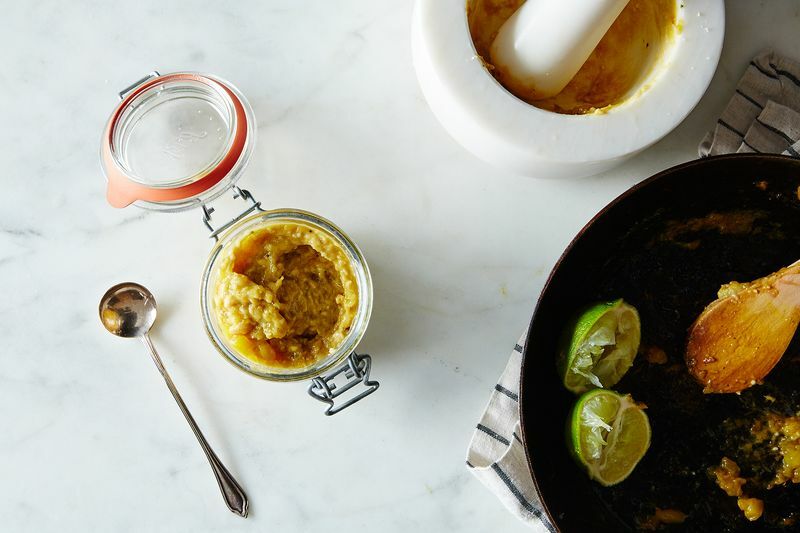 In short, use chutney’s versatility to transform your dips, marinades, sauces, vinaigrettes, dressings, and spreads. Have fun! Annada....Bravo...u hv evolved an unassuming chutney and have made it seem like the main course...all else is just there!!! It brings out the passion for food in you!!!! Love this one tomato, zucchini, and squash chutneys...great invention for folks on Paleo diets as its a good dip with celery sticks. Cilantro Chutney is one my favorite chutneys. Being allergic to raw peanuts I add raw onions instead of raw peanuts. That way chutney feel lighter when you have with other deep fried Indian appetizers like samosa and fritters. Also, try adding ground black pepper in this chutney . Pepper not only makes it more spicy but also helps in digestion of the appetizer you are having chutney with. Thanks for the suggestions, Usha! 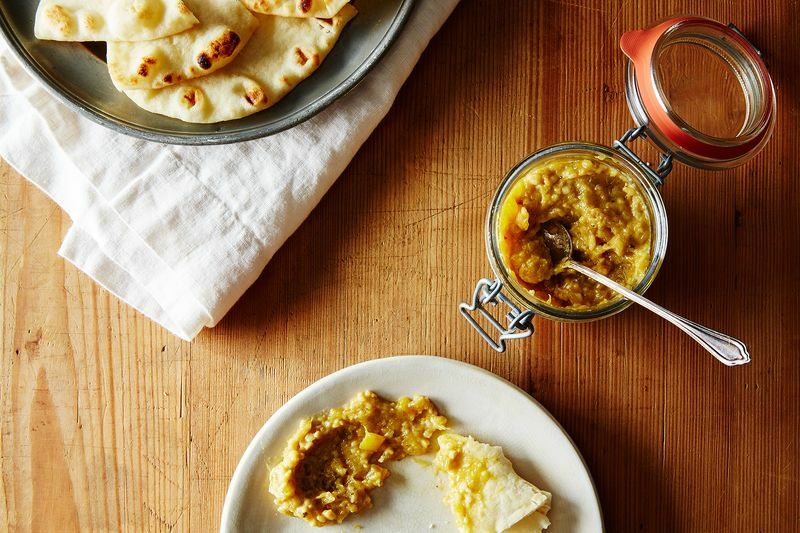 I love chutneys and this was a great read! Thanks Mirin! Appreciate your kind words! Lentil chutneys taste divine. Thank you for bringing them up. You can also soak them overnight and blend them with all the goodies you mentioned. Absolutely yes, although the soaked ones are much creamier, almost chunky hummus like!